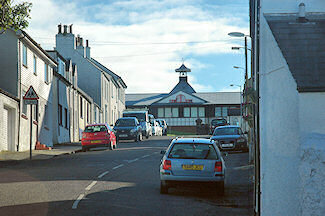 This evening in four weeks there will be large influx of teachers and other education professionals on Islay, so I thought it might be a good time to mention the Education 2020 Unconference in Bowmore at Islay High School and Bowmore distillery again. The actual event will take place on Friday the 12th of June 2009, but many participants are planning on arriving on Islay the previous evening. So what is it all about and where can one find more information? The conference has been in the making for a while now, I first spotted it in November 2008. Ian Stuart and Andy Wallis, two teachers at the school, are quite active in improving education and teaching techniques, discussing online and contributing to various forums. 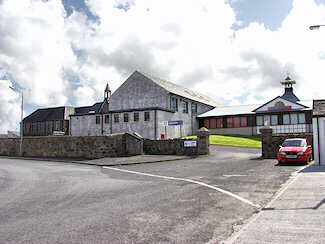 Islay High is actually one of the Schools of Ambition and pioneers the use of ICT in learning. Back in June 2008 they held a very successful Open Day (just before the Beach Rugby), which led them to start developing a Vision of Education in the year 2020? They launched the Education 2020 Wiki to open the discussion, one of the highlights will be the upcoming unconference. Since then quite a lot of discussion has happened, online and offline. A Message Wall was added to the event pages, travel arrangements are being made, there's lively discussion about Education2020 on Twitter and some people blog about it. In four weeks a large number of people, I'm guessing 40-50 participants, from a variety of professions and interest in the topic (teachers, education professionals and people just interested in education) will meet on Islay for lively discussions, debate, learning and hopefully to get some answers. Not to forget some fun as well, I suspect after the work a few wee drams will be enjoyed as well. There's also the option to visit the Islay Beach Rugby the following day. I hope this gives a bit of an idea about the event, if you're interested head over to the Education 2020 Unconference pages and register. 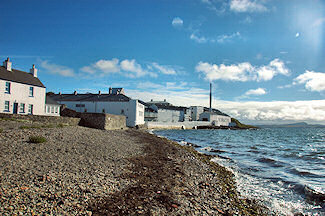 I'll be there as well, just by coincidence my summer holiday on Islay will be just around the conference. Actually, no, I picked the time deliberately so that I could join. While I'm not a teacher it's a topic I find interesting, so I decided to combine it all, holiday and learning.